The second date of the 2018 Frozen toe series saw 40 boats racing around Chichester lake. The race officer, Phil Allen, supported by members of the CYC handicap fleet, set a trapezium course with a long beat from birdham to copperas. The wind was in the 15-18Knots range from the North East, with a few interesting gusts adding to the fun. I can report (after capsizing) that the water temperature was a very pleasant 8C. In the fast fleet Steve and Sarah Cockerill in their RS400 continued their battle with Jack Holden and Tom Harrison in their Merlin Rocket. In a repeat of Frozen Toe 1&2, they shared the honors with a win each. The styles of boat led to very different tactics, the Asymmetric RS400 demonstrated some very fast downwind sailing zig zagging across the course at great speed, the Merlin having a conventional spinnaker took the more direct route downwind. 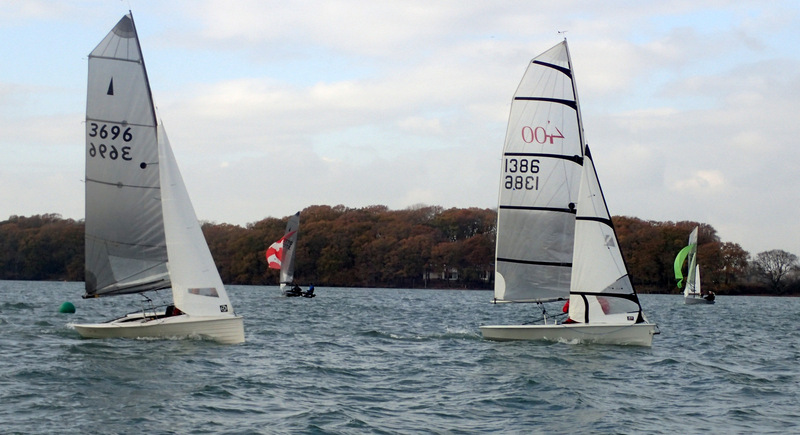 The RS400 being the fast boat on handicap was the first across the line in both races. The RS400 built a 4 minute lead in race 1 to take the first place, while the Merlin kept the gap to less than a minute in race 2, which was enough to take the win. 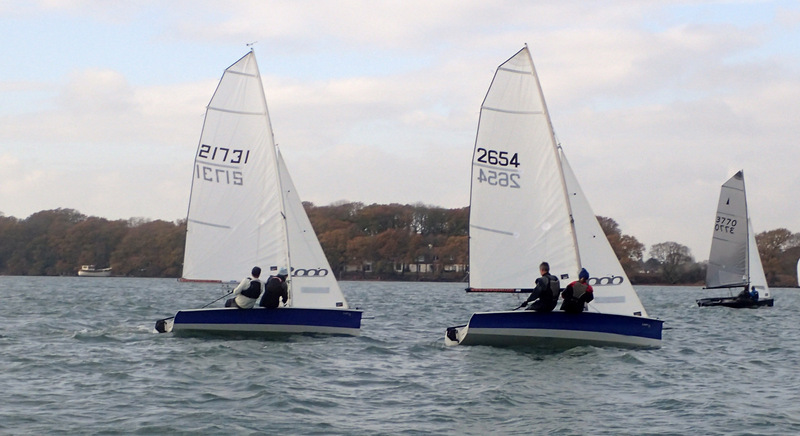 In the medium fleet Ian and Sarah Yardley from silver wings SC took both races in their 2000. In the first race they were almost beaten by Toby Schofield in his Aero 7. CYC’s Thomas Lawson grabbed third place by 4 seconds in his laser radial from Ian Payne. In the second race there was a 2000 1,2,3 with Ian and Sarah clearly ahead, but a very close finish between Al & Manu Jenkin and Mike & Paula Olliff, with the Jenkins winning by just 3 seconds after 3 laps. The Slow fleet was bolstered by a group from the Topper squads that were enjoying two days of coaching from Sarah Ayton. In the first race CYC’s Cat Albone won with Xavier Dunn second and Andy Peng third. The Second race saw Andy Peng take the flag with Xavier Dunn second and Alfie Lester in his laser 4.7 third. The final day of the CYC frozen toe 2018 is on December 9th, followed by prize giving and Mince pies. 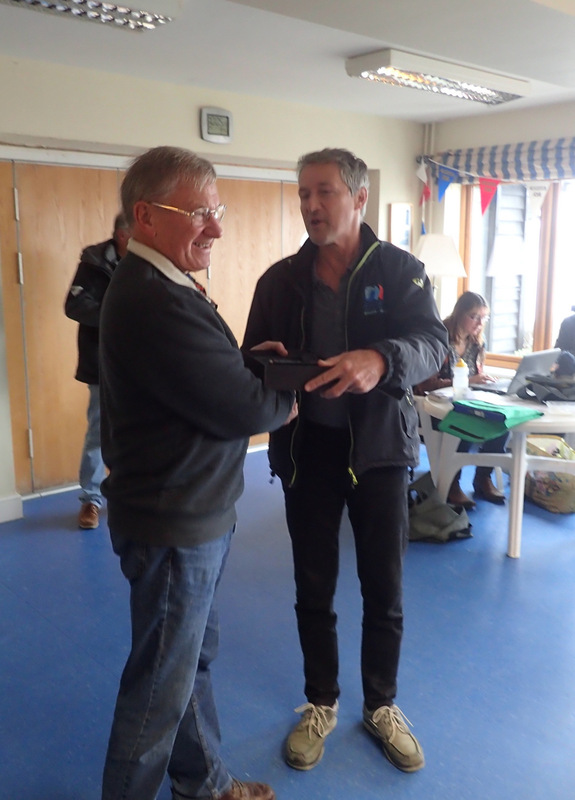 Before the racing, Alastair Jenkin took the opportunity to present the Malcolm and Sylvia Pye Trophy to Terry Moore in recognition of all the support he has given to the dinghy section this year.